All our products are of world class standards and meet the high parameters of reliability, authenticity and quality. As a part of our customer-friendly set-up, we have formulated very customer-friendly policy so that the customers can enjoy the benefit of buying the gemstones directly from us with added peace of mind. We extend to our patrons an opportunity to actually touch, feel and check the gemstones on purchase and so look-through period of 10 natural days from the receipt of order is granted to the customers. Our aim is to provide security-enriched gemstone buying experience to our patrons. So, all our products are enclosed in air-sealed packaging with necessary certification seal. Buyers are advised not to tamper with the packaging in case he chooses to return the gemstone. Please note all our gemstones are fully tested and certified. Additionally, packaging also allows you to take a close look at the product without breaking the package seal. a) If you find the gemstone in damaged condition or are able to notice humongous difference in the quality or look of the gemstone from what is displayed on the website, you can report the problem to us. 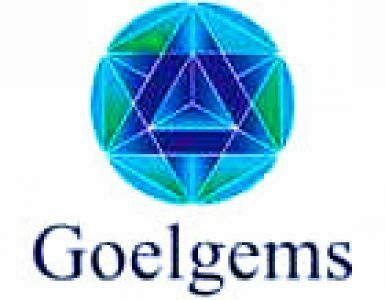 You can send the defective or below par quality product, (which is actually an alien concept at goelgems.com, however) back to us within 10 days of receiving the parcel. b) If you are cancelling the order due to any unforeseen reason, you are advised to do so before your packet is out for delivery. All refunds will be processed within 15 working days. However, if the packet is in transit and you decide to cancel the order, you are requested NOTto return the packet on arrival. Please make use of returns form enclosed along with it and send the packet back to the address specified using a traceable postal/courier service only. Only in case of damaged and defective items, the company will offer returns shipping for free. a) We will be processing the refunds request within 15 days of receiving the packet at our warehouse. You are advised to stick the barcode provided with the returns form on the envelope so that timely acknowledgement regarding the receipt of the parcel can be sent to you. b) Only in the case of defective/ damaged articles that company is going to refund the shipping charges. If you choose to return the product or cancel the order due to any unforeseen circumstances, and require us to pick the parcel from your address, shipping charges will be deducted from the refund amount. Customer will also be liable to bear the shipping expenses in the case of return of those goods bought under ‘free shipping’ scheme. c) Refund will be made only to that credit card account from which you have made the payment.